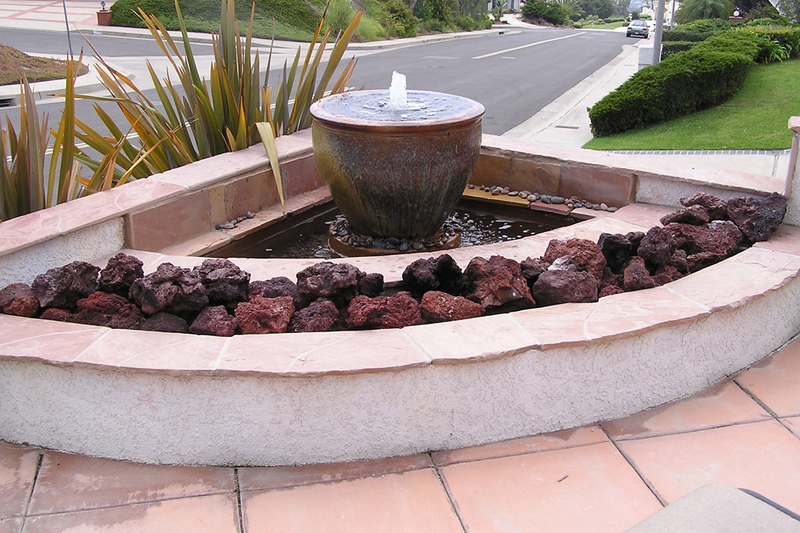 Whether we live in the Coastal communities of South Orange County from San Clemente to New Port Beach or we live slightly inland from San Juan Capistrano to Irvine we all appreciate the sounds, peacefulness and beauty of a properly sized and located water feature. 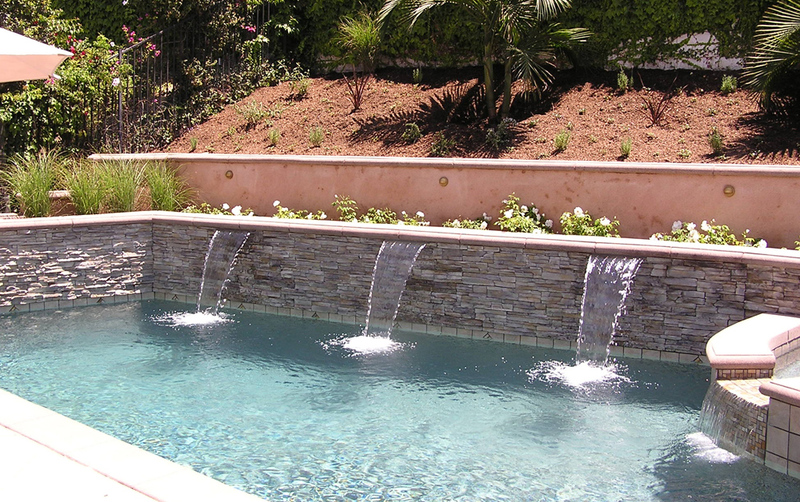 Swimming pools can provide entertainment and exercise. 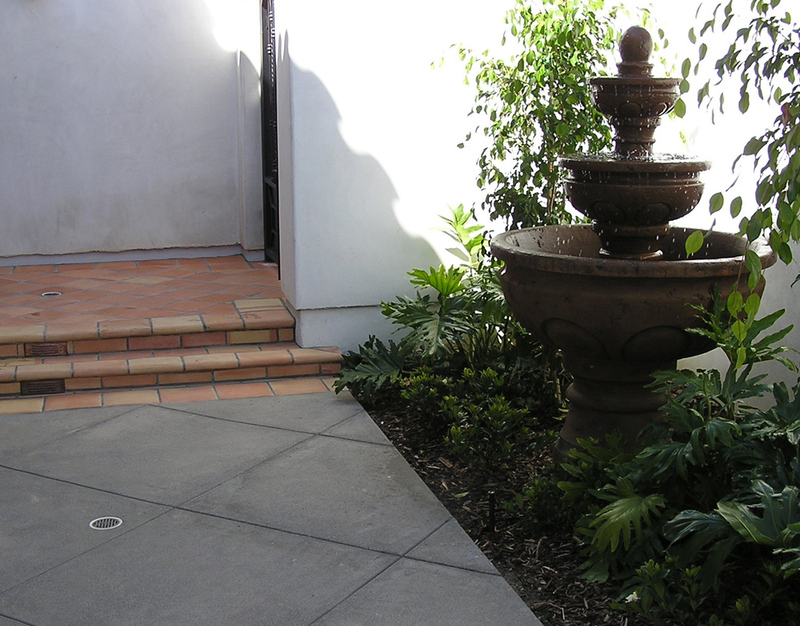 A portable in ground Spa built into a masonry vault can provide excellent therapy for your sore back with superior esthetics over a portable spa that is just sitting on top of a concrete slab in the middle of your back patio. 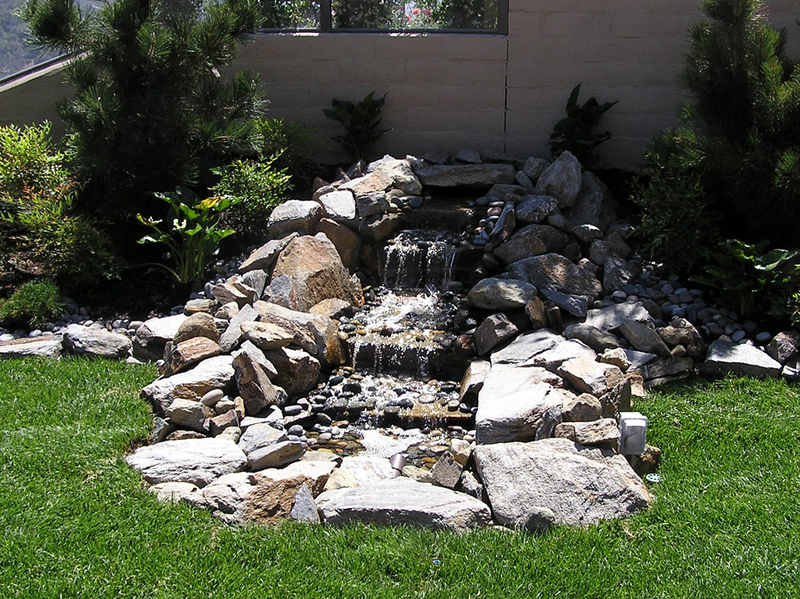 In smaller yards a custom built Masonry water wall or fountain, Koi pond, natural boulder stream, waterfall or a combination may enhance the Landscape Design of the rest of your yard. 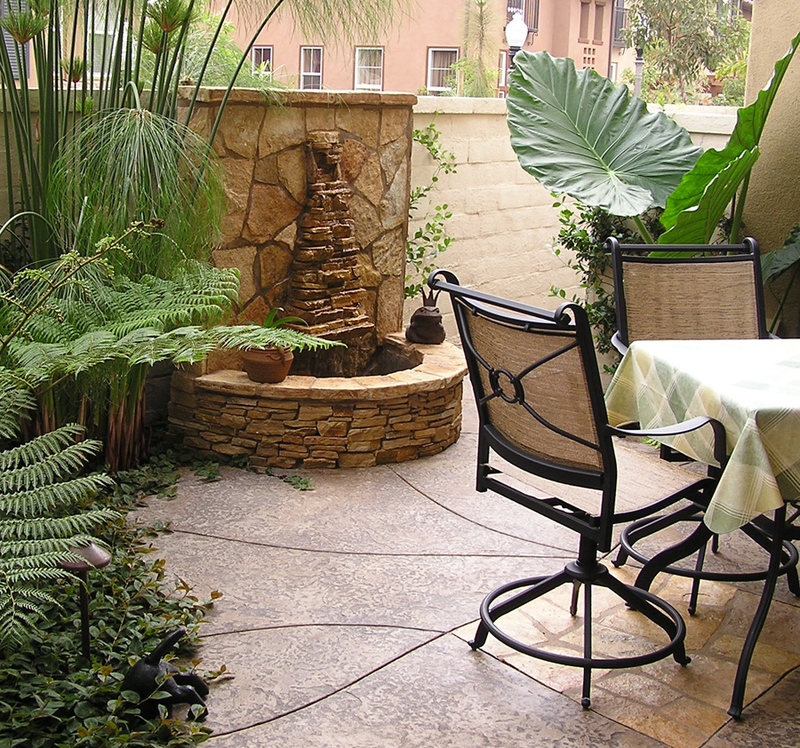 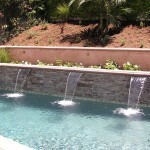 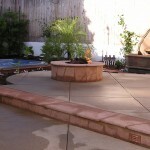 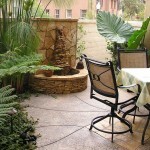 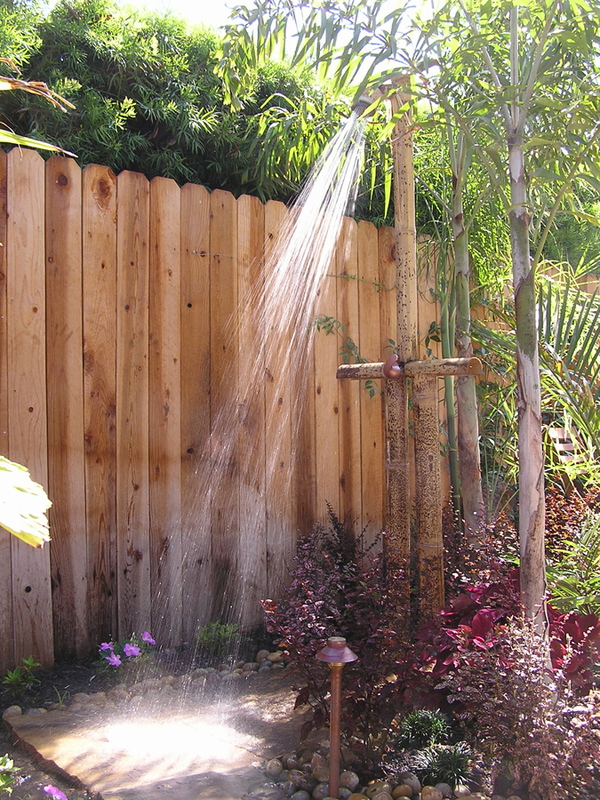 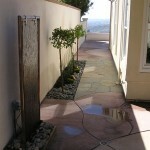 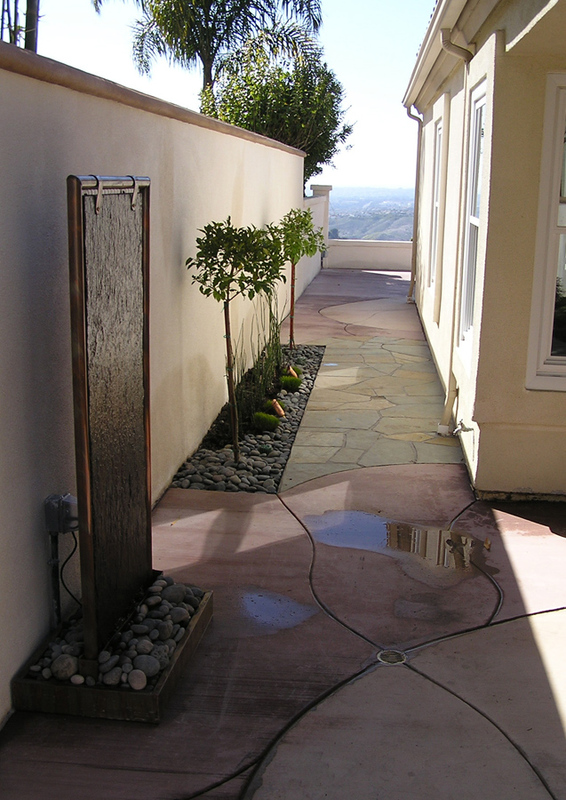 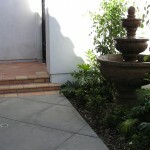 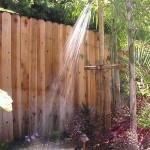 A pre cast concrete Water wall or fountain may be the best option for many. 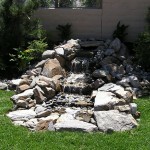 Others that are looking to save water may incorporate a dry river rock stream into their drought tolerant landscapes. 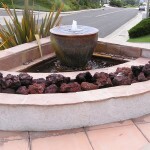 What do you want to accomplish? 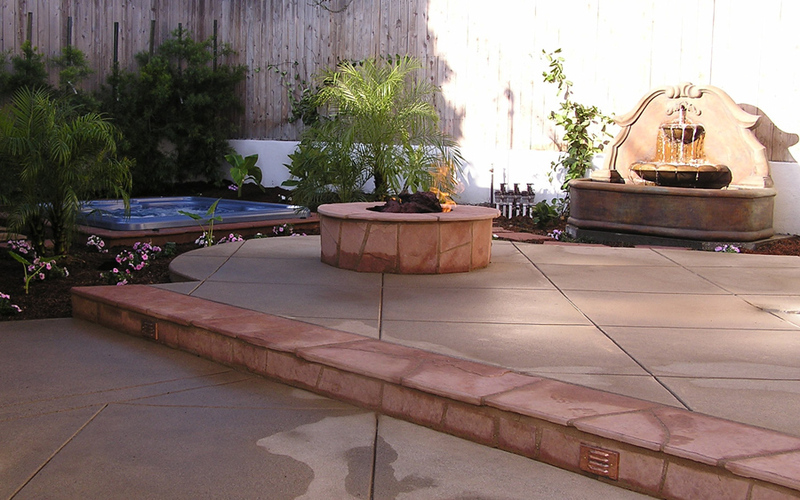 We at Costa Verde Concrete, Landscape and Masonry have a flood of great water feature ideas that can be installed into your So Cal yard.